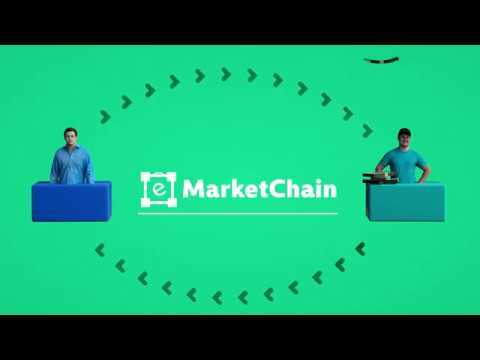 eMarketChain is developing a blockchain-powered marketplace and payment ecosystem that cuts out e-commerce middleman commissions for manufacturers and consumers. It serves as a direct e-marketplace for producers of goods, merchants and consumers to buy and sell products and process payments with no commission required. Our goal is to reduce prices for consumers and increase the profit of merchants. This can only be done by effectively eliminating the middlemen and the payment processing entities, and instead adopt a decentralized approach for transactions and payments between the parties involved. eMarketChain.co will be the official marketplace provided by eMarketChain. With an intuitive, user-friendly design, we aim to create a platform where: customers can easily find the goods they are interested in; merchants will have the ability to instantly list the items that they offer. The platform is tailored for both business-to-consumer (B to C) andconsumer-to-consumer (C to C) sales. This means that both large-scale companies, and small businesses or individuals creating goods by themselves, will have a place where to offer their products. The aim of adapting eMarketChain to fit both above-mentioned models has to do with our desire to have a broad range of available goods from which users will be able to easily browse through the different categories of goods, both via web and mobile applications for the major mobile platforms. Naturally, with the rise of a new ecommerce platform, the question of trust and rating comes along. In eMarketChain.co, customers completing a purchase will have the opportunity to give a rating to the merchant or the item that was purchased, as well as a general review. We aim to create a stable marketplace and community, where people need not worry about potential fraud. eMarketChain.co will focus on creating a payment environment that is more straightforward, faster and cheaper than what is currently the norm in such platforms. With the rise of blockchain technology and the notion of decentralization, we can create an alternative to the payment methods used nowadays. The benefits of such a solution are going to be felt by both customers and merchants. Focusing on decentralization, our main method for payment shall be via our very own EMAC Token. Using this method, there will not be any commission fees for the parties involved. Thus, customers can expect to save up to 15% per purchase, as compared to regular platforms. This decrease in price will naturally increase the purchasing power of the user, allowing them to save money and/or use that amount on additionalpurchases. Here is an example: if buy goods for $1000 in a standard existingmarketplace, on average, $150 will be in the form of fees. Imagine if customers could save these $150, instead of giving them away in fees. They could either save a substantial amount of money per purchase, or they could use the saved amount to buy additional goods. Adopting this decentralized model means that the payment workflow will be completely transparent and available to anyone interested, as opposed to the norm nowadays where companies hide the fees associated with the purchase, leaving the average user believing the value of what they are buying is higher than it actually is. The benefits for merchants are also evident. They will no longer have to deal with fees associated with each incoming transaction. And by adopting a decentralized payment model the speed of transaction will greatly increase. If before merchants had to wait days, if not weeks, to receive the payment for a purchase of their products, now the transaction speed will be reduced to minutes. Finally, merchants will be able to list as many items as they want, without having to pay after reaching a certain threshold - a limitation that exists in a lot of the standard ecommerce market platforms. Testnet launch on live environment. Final EMAC e-commerce market launch.